Have you ever thought about adding a hiking adventure to your list? 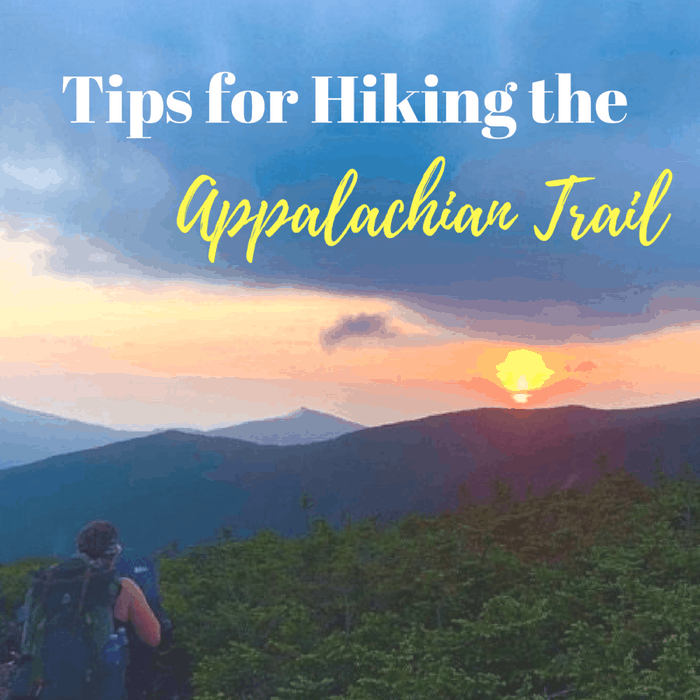 Find out what you need to know when planning an epic hike on the Appalachian Trail. 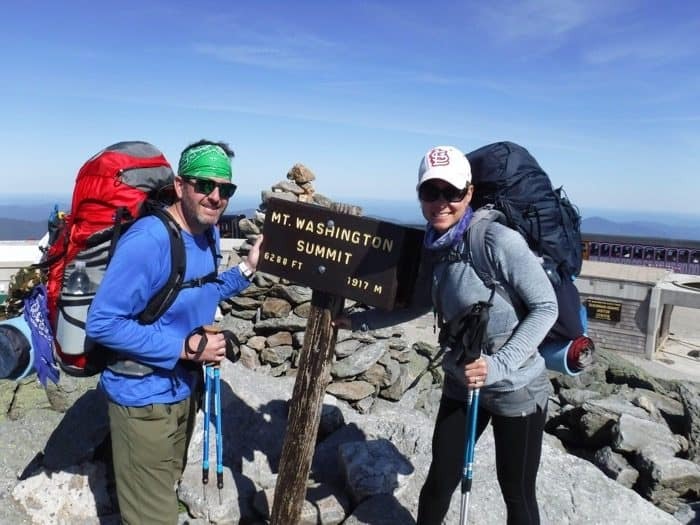 I invited my friend Shannon to share more about her experience hiking the Appalachian Trail. 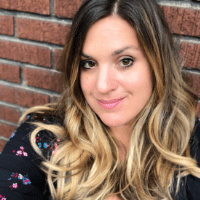 I think that you will be inspired to try an adventure outside of your comfort zone and you will learn a lot of helpful information from her experience on the trail. What inspired you to try this adventure? My husband and I have always been outdoorsy and up for an adventure. A friend of ours hiked the Shenandoah section of the AT last year and it really got us thinking about doing it too. We discussed getting a group together to hike a different section of the trail and through some research decided on the White Mountains in New Hampshire. What type of research did you do prior to the trip? 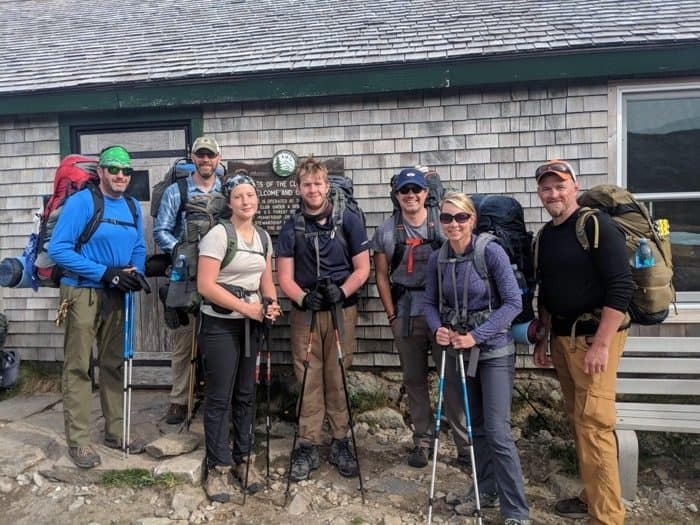 We met as a group throughout the months leading up to the trip to talk about goals, look at Appalachian Trail maps, research gear, share stories from previous hiking trips, and set our agenda. There are some really great blogs out there that give lots of tips on hiking, backpacking, gear, trail conditions, etc. We studied the weather almanacs to see what kinds of clothing we might need. We also did some practice hikes and a weekend backpacking trip to the Red River Gorge so we could test out gear and food. I am a runner and felt pretty good about my overall endurance but I had never hiked with a 40-pound pack before. So I did some leg workouts using weights and also did some day hikes with my pack (I threw in some gear and random things to get the weight up). In hindsight, I underestimated how different running is from climbing and should have trained more in the stair stepper than the road! We also prepared by trying some recipes that we planned on eating on the trail to make sure we liked them and that they were lightweight and easy to prepare. The funny thing about doing long backpacking trips is that no matter how much you prepare, you have to be flexible. Mother nature will show up and totally wreck your plan for the day. Or you might have an injury that slows you down. Or you might hike all day to your campsite only to find out that it’s full and there’s no room for you. So you have to take each day as it comes and be willing to change your plan. Be flexible. Who joined you on this adventure? There were 7 of us on the trip–Chris and his 2 teenagers, Brandon, Josh, my husband Greg, and me. I was the “mom” of the group. We were in the White Mountains in New Hampshire. 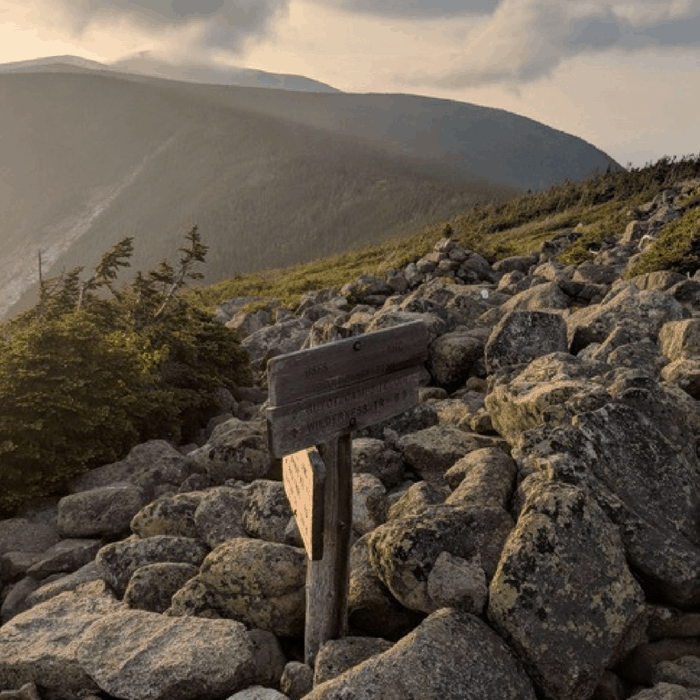 We hiked from north to south along the Presidential Range, which includes Mt. Washington. It is the highest peak at over 6,200 ft and is the sight of the highest wind speed ever recorded on the planet Earth at 231 mph. 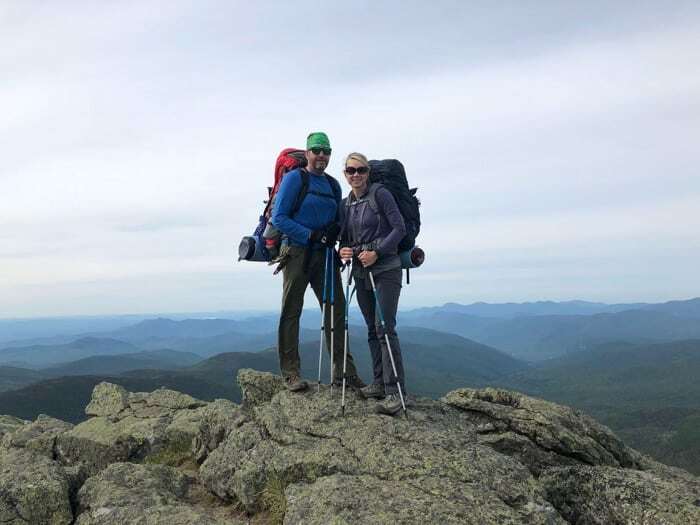 We summited 15 peaks during our hike, ranging from 5,300 to 6,200 ft.
How long did this adventure take? We hiked for 8 days and had 2 driving days. Each day we hiked about 8-10 hours for a total of about 60 miles. What did you do for meals? We ate dehydrated meals for dinner once we got to our campsite. There are some really good ones out there! For breakfast, we ate instant oatmeal or grits and of course coffee. And for snacks and lunch, we relied on beef jerky, cheese sticks, tortillas, dried fruits, nuts, and candy bars. I got pretty used to eating a full-size snicker bar every day at 10am! Starbursts were also a trail favorite. For water, we had to purify stream water that we encountered along the hike. These purification kits are super easy and lightweight and you can purify your water directly into your water bottle. We carried 2 liters of water per day and then purified more for dinner once we got to camp. My favorite part of the experience was reaching the summit and having a 360-degree panorama of some beautiful mountain ranges after a long, hard climb. The weather was perfect and the visibility was hundreds of miles. We could see all the way to Maine from the peak of Mt. Madison. I also enjoyed spending time with my husband and friends. The simplicity of life on the trail really allows you to just be. To really be present in the moment and not deal with the stresses of life brings a sense of peace that you can’t find anywhere else. I learned that I can do hard things. That all I really need is what I can carry on my back. That if I only focus on the destination, I will miss out on the journey. But that if I only focus on the journey, I miss the moment. I also found it a little absurd to come home and drive 1 mile to Walgreens after having walked several miles per day. So once I got home, I tried to figure out how to incorporate small “hikes” throughout my day. It’s obviously more difficult in the “real world” because there are time constraints and schedules, but I have tried to be more mindful and intentional about combining my daily exercise with running errands. I also realized that what I really valued the most from the trip was quality time with friends and my husband that was so simple–having conversations while walking or playing cards after dinner was great! Life doesn’t have to be so choreographed and complicated. It can really be very simple. And I found that simple is best. What was the most challenging part of your adventure? This was the hardest thing I have ever done–physically and mentally. The climbing was no joke. Every day we would pack up camp and start hiking straight up a mountain. We would climb thousands of feet at a very steep grade for hours. To make things even harder, I rolled my ankle pretty badly on the first day so I hiked the entire trip on a swollen, weak ankle. Every part of my body was fatigued and sore but I remember one day I woke up and my legs were so incredibly sore that I could barely stand up. I looked at my husband and said “How am I going to do this today? !” with tears welling up in my eyes. And he looked at me and very calmly said, “You’re going to put on your pack. And you are going to put your right foot down. And then your left. Over and over.” And that’s what I did. I took one step at a time until I reached the summit. Plus ibuprofen. Lots of ibuprofen. The other challenging part for some was the idea that no matter how much you plan and prepare, you are not in control. The weather will turn on you, the trail might be a raging river because of a heavy rain, your equipment might fail, you might take a wrong turn and end up on the wrong side of the mountain, you might have added too much salt to your carefully planned out meal. But you have to find a way to carry on. Maybe it’s an alternate route or a new destination. Or maybe someone shows you generosity and shares their food with you that night. But you have to find a way. As I look back on it, I should have trained differently to prepare my body for the physical challenge. I should have trained on the stair master for hours! But in general, the best way to prepare your body is to walk lots and lots of miles at a time. I am a runner. Running is very different from walking. I had the cardio training I needed but not the leg muscles. Next time I will walk 5-8 miles per day with a weighted pack for several weeks before the trip. Would you try this adventure again? Why or why not? We are already planning our next hike! There’s something about the Appalachian Trail that just calls you back. It’s beautiful, it’s serene, it’s historic, it’s challenging, and all along its path, you meet people with very inspiring stories. The trail is for anybody! 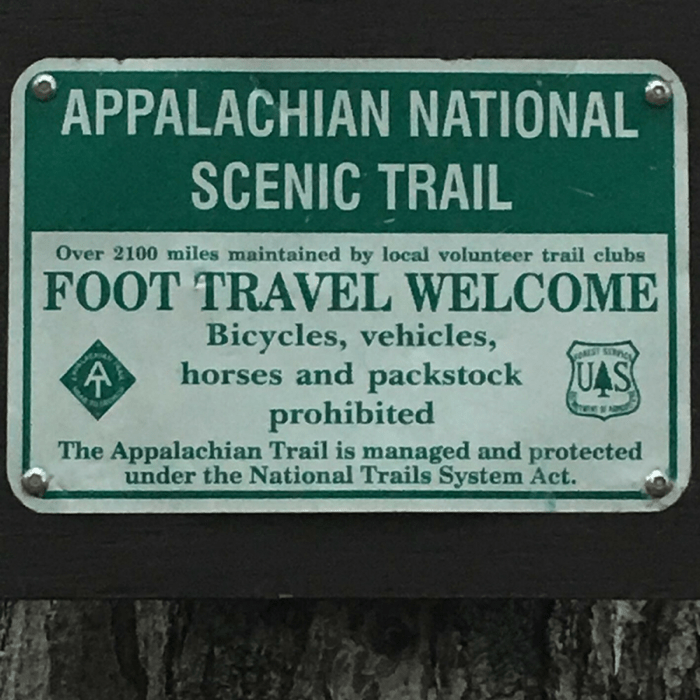 There were young and old, college kids and retired folks, men, women, children, day hikers, section hikers, thru-hikers (they hike the entire 2,200 miles from GA to ME). There were families, friends, and strangers. And yet we were all connected. There were days where you wouldn’t see another soul and then days where you would run into lots of day hikers enjoying the day on the trail. So, yes, I will be back on the trail. I’m not sure if I will ever do the whole trail at once, but I guess I have my whole life to finish it section by section. What advice would you give to someone who wants to try this adventure? Go for it! Do your research and figure out what section might be a good one to start with. Apparently, I started with the hardest section but there are other sections (the Smoky Mountains and Shenandoah for example) that seem to have easier terrain but still have amazing vistas. Take some small weekend trips to test the waters. Find a hiking club or form your own that you can share experiences with and get some tips on gear, etc. But most importantly, hike your own hike. Every person who has ever hiked the trail (the whole thing or a part of it) has never hiked the same hike as someone else. Each step is uniquely yours. Each experience is unique. Thanks again to Shannon for sharing your adventure with us!